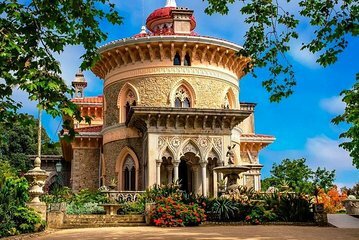 Explore the best that Sintra has to offer on this full-day tour from Lisbon. Located just 30 minutes from Lisbon’s city center, Sintra is filled to the brim with old palaces and castles, once used as summer homes by the royals. Visit Quinta da Regaleira, Sintra’s UNESCO-listed city center, and the village of Colares. Pass by the palaces of Seteais and Monserrate, and end the tour with a drive along the coast.